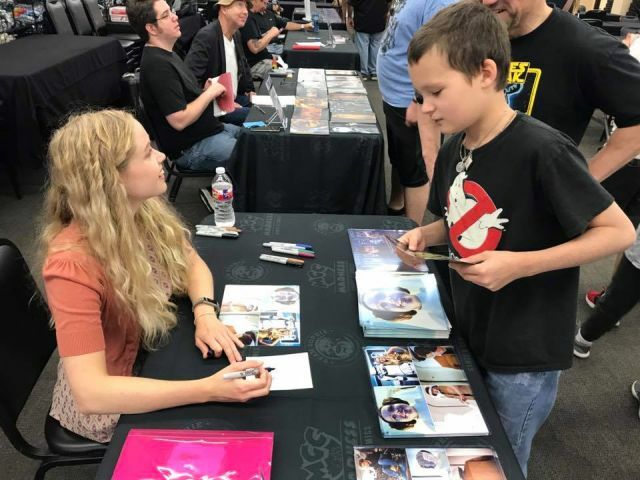 Madness Games and Comics in Plano, TX is becoming well known as not only a great comic book and pop culture collectible store, but as the place to go to meet celebrities from different movies and TV shows. A few months back, they hosted some of the cast and crew from "Star Wars: Clone Wars," "Star Wars Rebels," and "Rogue One: A Star Wars Story," as well as a few of the original "Mighty Morphin Power Rangers" actors. 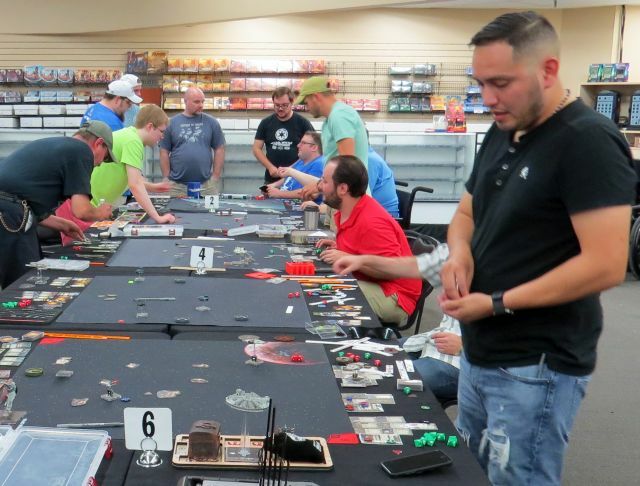 Galactic Productions are the ones putting together these mini comic-cons and they didn't fail to impress at their latest event. 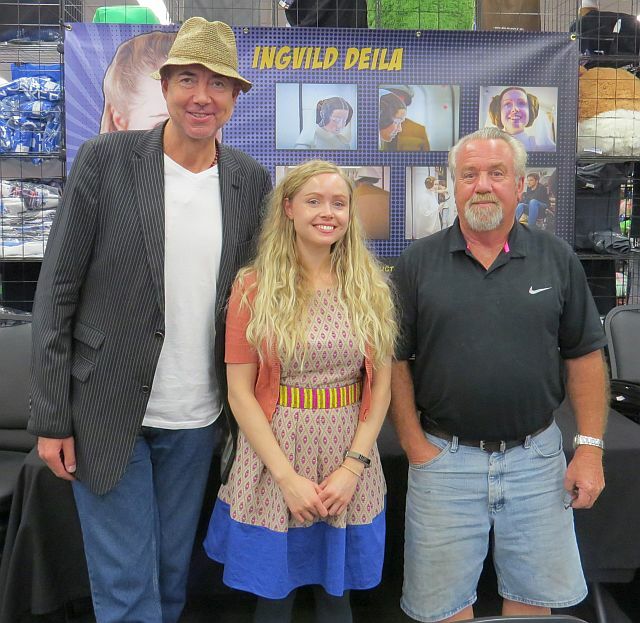 Jerome Blake, Ingvild Deila, and Cliff Alliston. 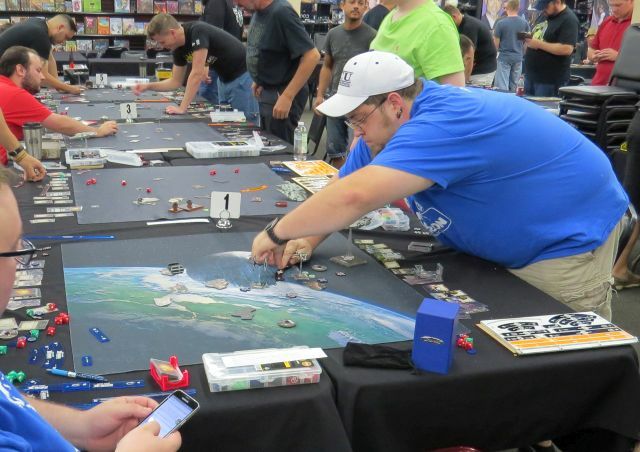 Celebrity guests who appeared at Madness Games and Comics for Saturday's "Star Wars" gaming day spread across many of the movies in the "Star Wars" franchise. Ingvild Deila was the body double and CGI face model for Princess Leia in "Rogue One: A Star Wars Story." Jerome Blake has played many different characters across the Prequel trilogy including Mas Ameeda, Oppo Rancisis, Rune Haako, Mik Regrap, Horox Ryyder, and Orn Free Taa. Cliff Alliston was one of the Rebel fighters on Endor during the big battle. Ingvild Deila was the actor I was most interested in meeting and I was not disappointed. Looking at her, you can totally see why she was chosen to stand in for a young Carrie Fisher. Aside from her curly blond hair, the Norwegian resembled her almost to a "T." Surprisingly, she had very little of an accent. Deila was very cordial and seemed genuinely excited to answer any and all questions fired at her about her part in a Galaxy Far, Far Away. I had a few questions for her myself about the process of playing Princess Leia. When asked about her time on the set of "Rogue One: A Star Wars Story," Deila said she was nervous about doing the character of Princess Leia justice. Carrie Fisher was said to have seen the footage before she passed away and approved of her performance. Deila was very worried about what Fisher would think about her portrayal and wanted to do right by her. Hearing that Fisher liked what she saw made her very happy. Unfortunately, Deila told me she never got to meet Fisher and hear that in person. Deila shared with me a few interesting aspects of filming the scene in "Rogue One: A Star Wars Story." The Leia buns were her actual hair (obviously dyed brown) with a little extra puff added to them. The blue dots used for motion capture and facial CGI are an actual type of washable pen that is put on by a makeup person. She said the dots would reflect strangely and be a bit distracting. Deila said working with Director Gareth Edwards a great experience. 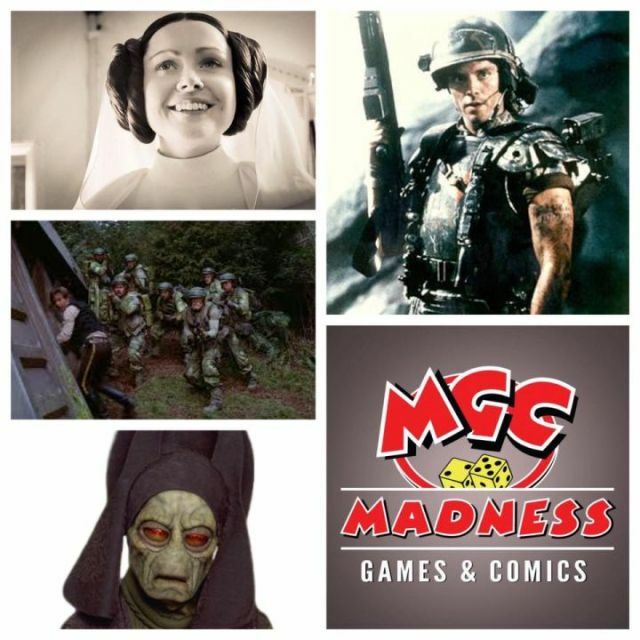 To find out about future Galactic Productions celebrity appearances at Madness Games and Comics, you can follow them on Facebook here and here.